World Rugby 2011 - Stai aspettando il campionato di rugby del 2011. Non sarà facile vincere questo gioco. Devi essere molto veloce. Buon Divertimento !!! 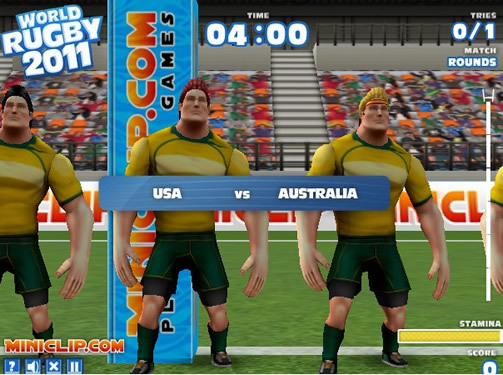 World Rugby 2011 - Are you waiting for rugby championship going to happen in 2011. It is not going to be easy to be called as winner from this game. Its tricky and you have to be very quick. Have fun !! !